Ellen O'Farrell is a professional hypnotherapist who works out of the eccentric beachfront home she inherited from her grandparents. It's a nice life, except for her tumultuous relationship history. She's stoic about it, but at this point, Ellen wouldn't mind something long term. When she meets Patrick, she's optimistic. He's attractive, single, employed, and best of all, he seems to like her back. Then comes that dreaded moment: He thinks they should have a talk. Braced for the worst, Ellen is pleasantly surprised. It turns out that Patrick's ex-girlfriend is stalking him. Ellen thinks, Actually, that's kind of interesting. She's dating someone worth stalking. She's intrigued by the woman's motives. In fact, she'd even love to meet her. Ellen doesn't know it, but she already has. 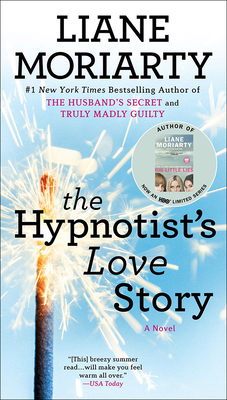 Liane Moriarty is a #1 New York Times bestselling author whose novels include Truly Madly Guilty, Big Little Lies, The Husband's Secret, The Last Anniversary, and Three Wishes.